Partech Lighting Systems is a full service entertainment lighting production company specializing in Concert Touring, Theatrical and Special Event Lighting Systems, Business Seminars and LED Video Wall Displays. Our Professional staff has extensive experience in all aspects of entertainment lighting, and are ready to assist you with meeting your production needs. 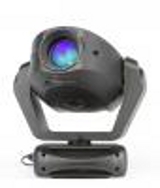 We stock an inventory of the latest in lighting technology and maintain our quality of equipment which enables us to offer the best products for your event. Please investigate further into the state of the art products and expert services that we offer and see if we can assist you with your next project. We maintain a vast inventory of rental equipment for those "do it yourselfer's" and industry professionals that may require additional equipment for your production. We rent to individuals and companies within the entertainment lighting industry such as churches, community theatres, schools, other production companies, and lighting designers. We proudly represent and carry a wide range of products from some of the industry's most respectable manufactures. 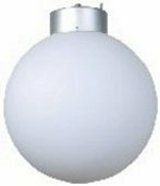 We inventory numerous lamps for just about any type of lighting fixture. We sell consumables such as tape, lighting gel filters hardware and electrical components. We also carry a long list of other professional and quality items. Partech Lighting Systems originated from the live production entertainment industry and we are very familiar with the high expectation aspects of our industry. We know well the demands and challenges of providing production services with the harsh environments that today's Hi-Tech equipment must perform in and we excel in overcoming these challenges. We now have a extensive inventory of 7mm LED Video Wall Panels along with all rigging and Cabling available. If you are experiencing "Ghosting" nodes or similiar problems we may be able to help. Repairs include replacement of the glass lenses for the sealed type fixtures. 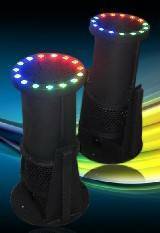 20" 50cm 360 Degree Light Distribution, DMX Control or Stand Alone Effect.